This Spotlight is sponsored by Sunway Resort Hotel & Spa. 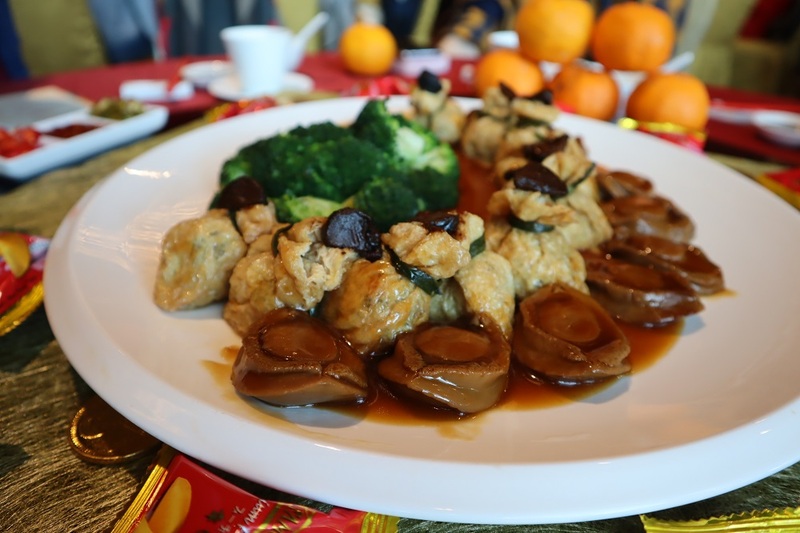 Chinese New Year is almost here, and we're ready to feast! Can you believe that Chinese New Year is just around the corner? 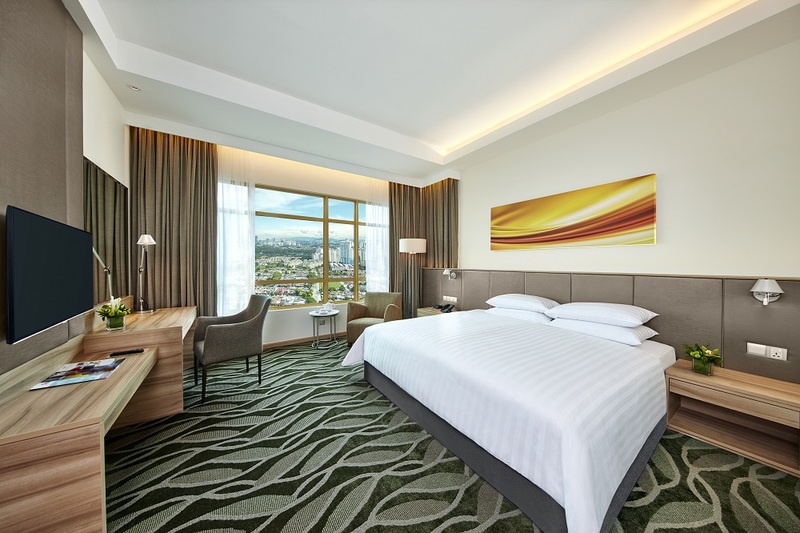 If you're still looking for a place to book for reunion dinner or somewhere to impress your relatives coming from overseas, Sunway Resort Hotel & Spa has got you covered! 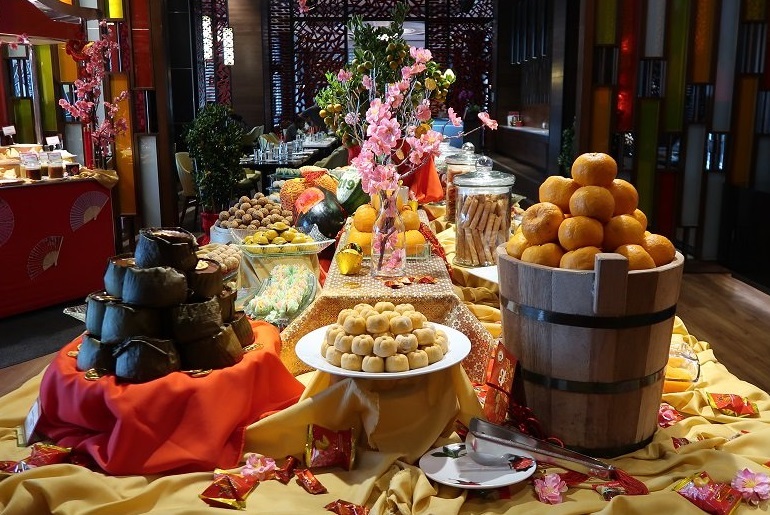 There will be various buffet offerings, eight-course set menus, golden takeaway treasures, and exclusive hotel promotions across this festive season. 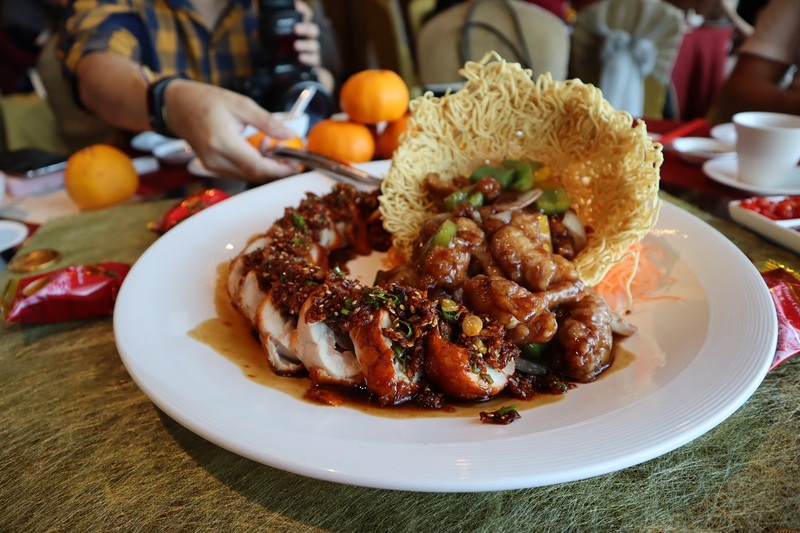 But first, what's Chinese New Year without Yee Sang?! You will also get to choose from a selection of sauces including their signature plum sauce and wasabi sauce, or try out their new flavours like fresh avocado plum sauce or rojak plum sauce. 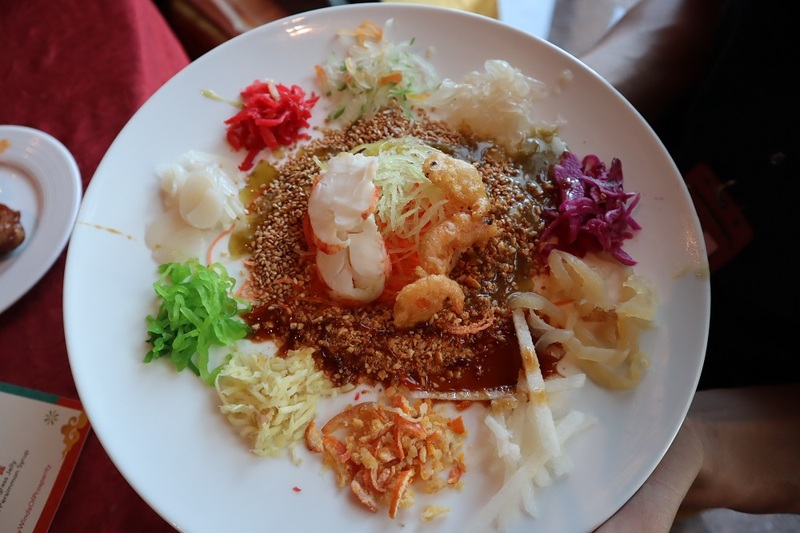 We got to try all the flavours, and we absolutely recommend the Cooked Lobster Yee Sang with wasabi sauce! As guests dine in, they can also have additional add-on of yee sang from MYR148 nett (full portion) and MYR88 nett (half portion). 4. 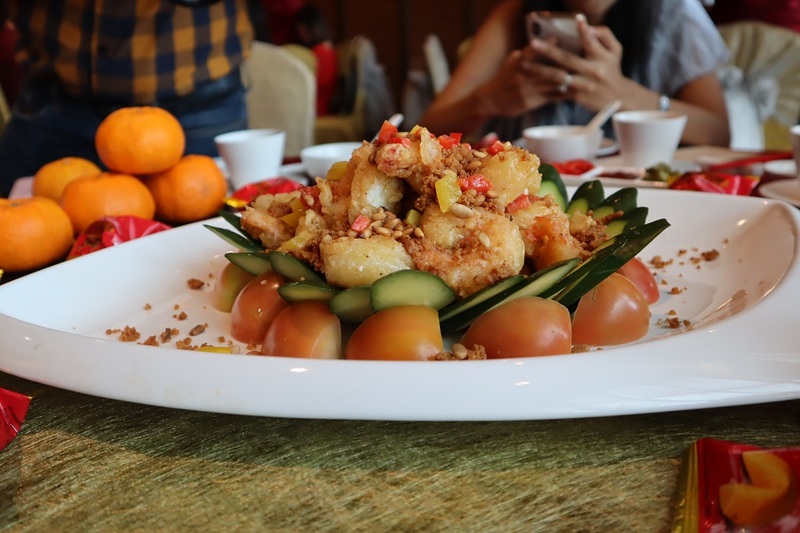 Crystal prawn meat with golden sand and pine nuts - this dish was one of our favourites! 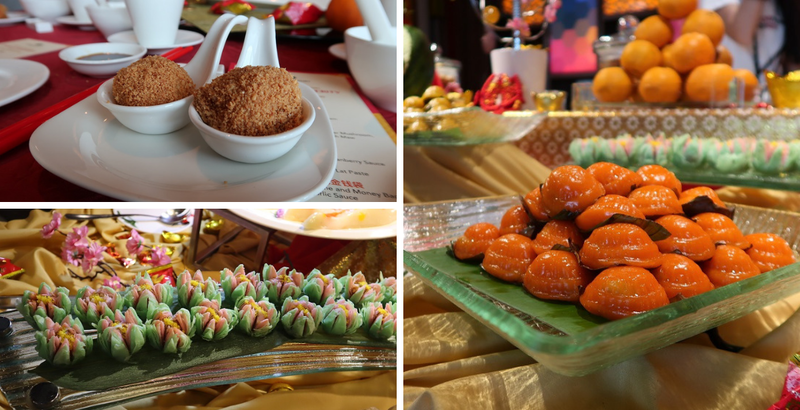 Enjoy a range of Chinese New Year themed desserts and cookies. 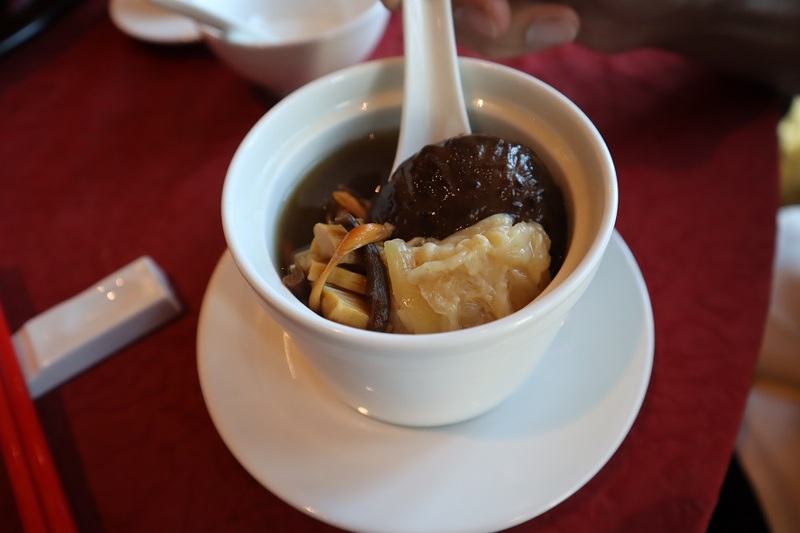 (The Tang Yuen coated with peanuts is a must-try if you get the chance!) 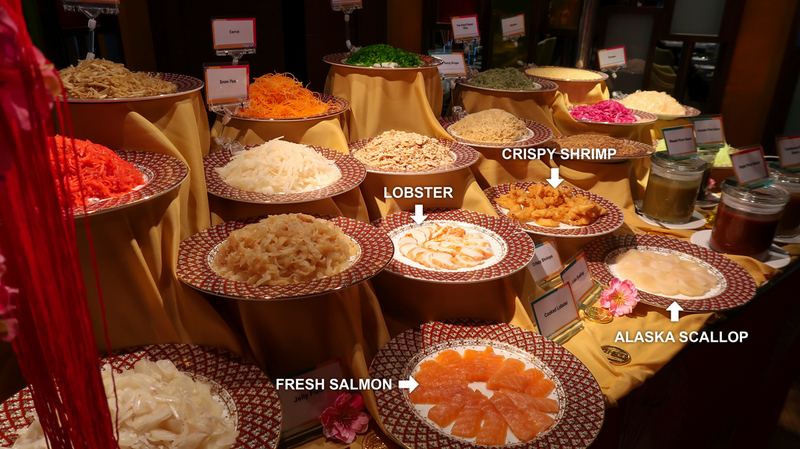 Plus, indulge in celebratory Chinese delicacies on rotation daily. 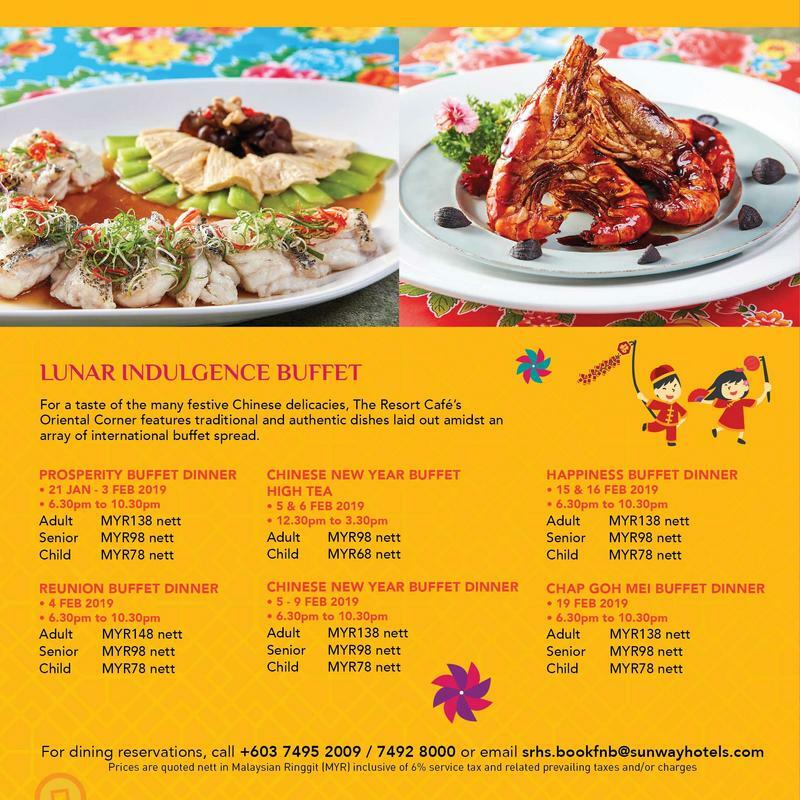 The buffet offerings are available from 6.30pm to 10.30pm, and are available all through 21 January to 19 February. 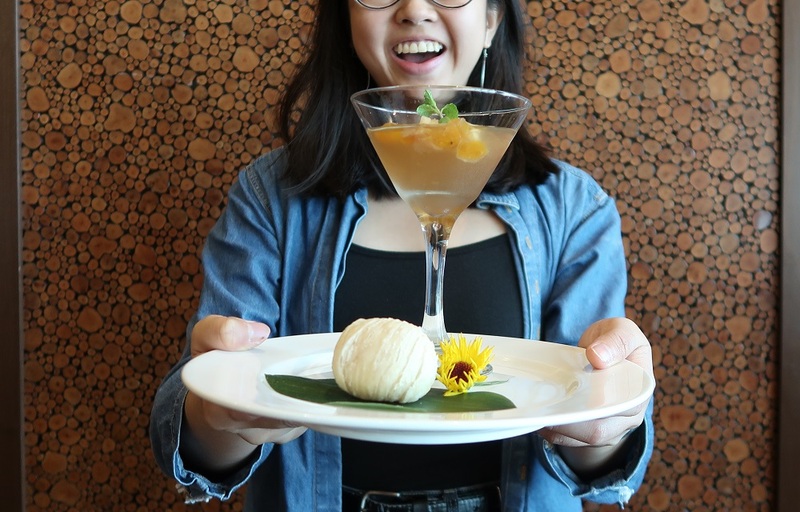 No pineapple tarts, no talk.